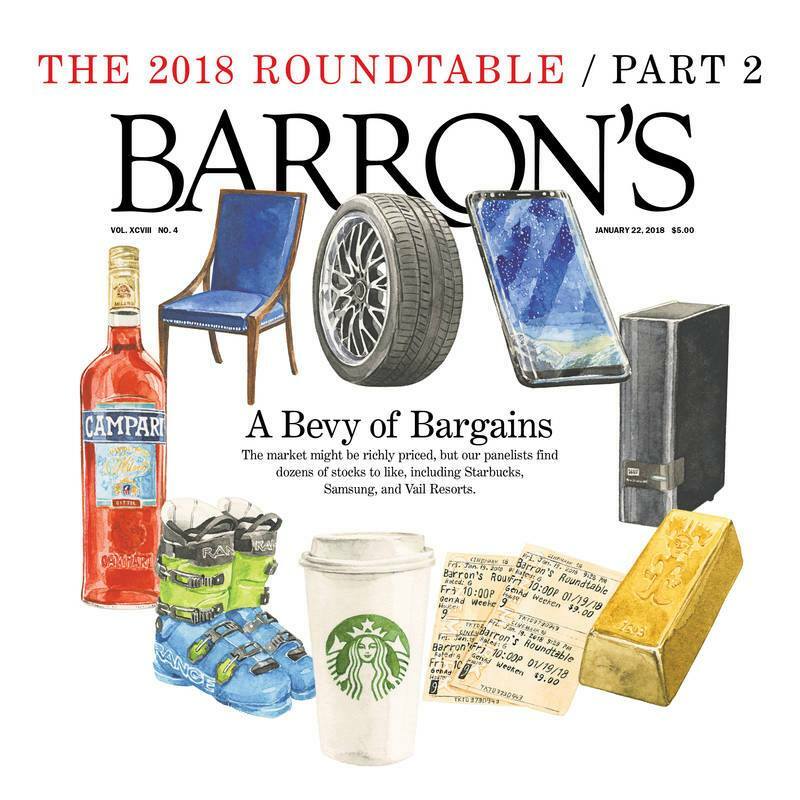 This weekend, Barron’s has a cover article covering the same theme for Vail Resorts (ticker: MTN): “It was a transaction-based business with a lot of seasonality around weather, and cyclicality around the company. Rob Katz bought this business in 2006 and undertook this transformation. 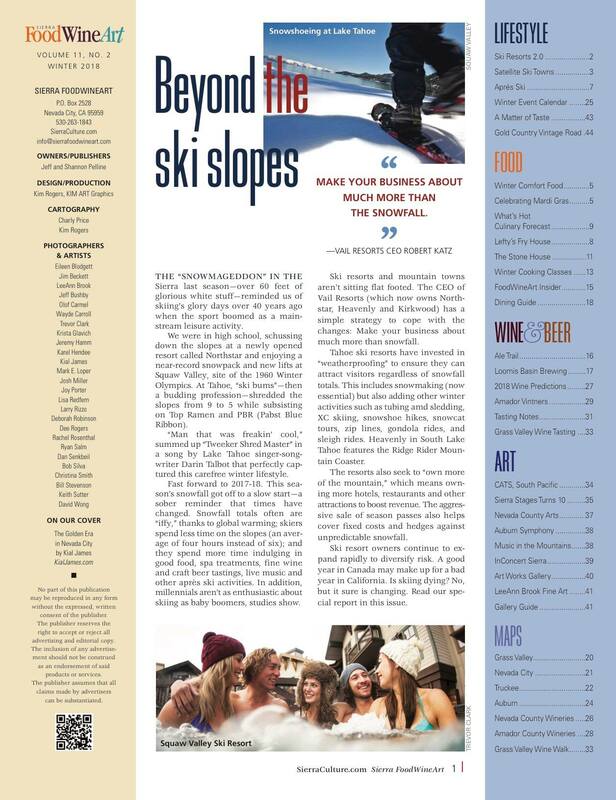 As bad as the weather has been out West this season, we believe Vail will hit its numbers this year.” It includes a lot of the same details as our cover article. 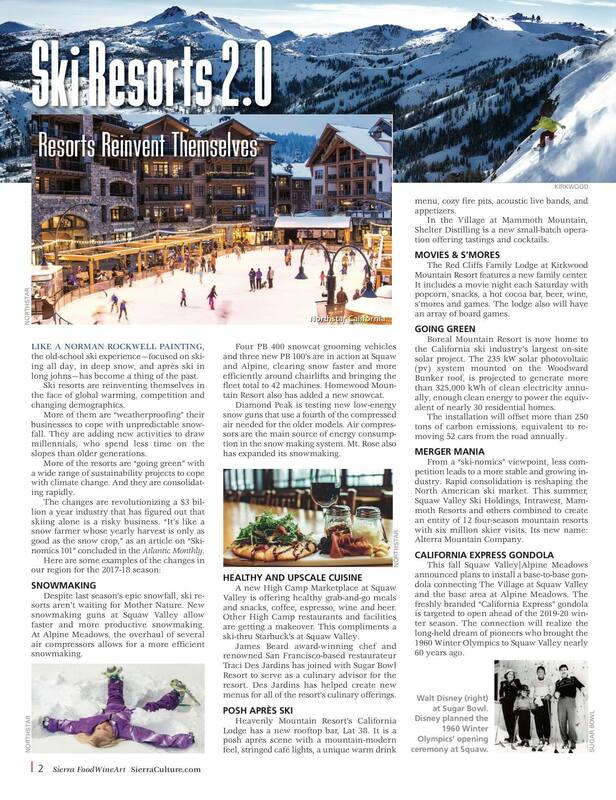 We’re proud to have mirrored the Barron’s kind of analysis in our regional lifestyle magazine Sierra FoodWineArt for outdoor enthusiasts, foodies, locals and travelers. We credit it to our years of experience writing business articles at The San Francisco Chronicle and the startup CNET, sold to CBS. It’s been good preparation for this venture. Look for our winter issue next week — in full-color print, digital and a custom mobil edition. It’s a fun and educational issue.